Magento is an open source eCommerce web application. It was developed by Varien (now Magento Inc) with help from the programmers within the open source community but is owned solely by Magento Inc. Magento is a feature-rich eCommerce platform solution that offers merchants complete flexibility and control over the functionality of their online channel. It creates an unrivaled shopping experience for the customers of the website developed using Magento. Magento was built using the Zend Framework. It uses the Entity-attribute-value (EAV) database model to store data. Magento is also an object-oriented PHP Framework that can be used to develop modern, dynamic web applications that tap into Magento’s powerful eCommerce features. Magento organizes its code into individual Modules. In a typical PHP Model-View-Controller (MVC) application, all the controllers will be in one folder, all the models in another. In Magento, files are grouped together based on functionality, which are called modules in Magento. Magento, like most frameworks these days, offers an Object Relational Mapping (ORM) system. ORM prevent a developer from writing SQL and allows the manipulation of a data-store purely through PHP code. Magento provide the functionality of displaying related products, up-sells and cross-sells. It gives catalog promotional pricing with the ability to restrict to stores, categories or products. It can work on flexible coupons (pricing rules) with ability to restrict to stores, customer groups, time period, products, and categories. This is done by generating a set of unique coupon codes for each promotion and export the list of codes for offline distribution, email, newsletters and more. Magento can easily manage and monitor coupon usage and generates detailed reports. It provides multi-tier pricing for quantity discounts, Minimum Advertised Price (MAP), landing page tool for categories, customer groups, product bundles, recently viewed and compared products, new items promotional tool, persistent shopping cart, Google Website Optimizer integration for A/B and multivariate testing. Apart from these free shipping options, polls, newsletter management, send to a friend for all visitors or registered users only, send wish lists by email features are also in-built. Magento makes the site completely search engine friendly. It adds Google XML sitemaps, search engine friendly URL’s. The feature URL rewrites give full control of URL’s. It also provides the tools for giving the meta-information for products and categories. It has the ability to auto-generate site map, popular search terms page for display on site as well as it provides Google Content API for shopping. Magento tool can help to control multiple websites and stores from one Administration Panel with the ability to share as much or as little information as needed. Administration permission system roles and users too can be given by this tool. The website developed using Magento is customizable design using templates. It support for multiple languages and currencies. Web Services API are used for easy integration between Magento and third-party applications. Magento makes the system simple and configurable. It gives the functionality of grouping products. Different price points for different customer groups, such as wholesalers and retailers can be created. Features such as virtual products, downloadable/digital products with samples etc are also a part of Magento. Unlimited product attributes can be assigned. on both frontend and back-end, saving of shopping cart etc are the in-build in Magento. Layered / faceted navigation for filtering of products in categories and search results can be done using Magento. Filtering of products by price and display a range of prices based on even increments or by a similar number of products within each range can be done. It provides static block tool to create category landing pages. Features like product comparisons with history, configurable search with auto-suggested terms, breadcrumbs etc can be provided in an eCommerce site with the help of Magento. Magento adds all the good points in an eCommerce site to make it look appealing at the same time adding an ease of convenience for the shopper. The features like multiple images per product, product image zoom-in capability etc helps fulfilling this purpose. Magento integrates a site for real-time shipping rates from: UPS, UPS XML (account rates), FedEx, USPS and DHL Apart from this shipping methods of three kinds can also be set up for the website as per the requirement of the vendor of the site. The features that Magento gives to a user are an Account dashboard, address book with unlimited addresses, wish list with ability to add comments, order status and history, the facility to re-orders from account, to view and access recently ordered items, gives default billing and shipping addresses. The facility to Email or send RSS feed of wish list. Magento enables a site of providing the Contact Us form to the users. Orders can be created and edited from the admin panel. Feature such as feature-rich customer accounts, order history with status updates, order tracking from account, password reset email from front-end and admin panel, order and account update emails, customizable transactional emails also become a part of the eCommerce site. Magento is developed as to support the shopping cart applications that would be compatible in any part of the world. It thus provides support for localization, multiple currencies and tax rates. It includes support for WEEE/DEEE in EU, for accented characters and right to left text. Websites developed on Magento are integrated with Google Analytics. Admin dashboard of these websites serves for the review of sales report, tax report, abandoned shopping cart report, best viewed products report, best purchased products report, low stock report, search terms report, product reviews report, tags report, coupon usage report and total sales invoiced. Mobile shopping, offers consumers the chance to buy something that is catered on a mobile device and perhaps most importantly, reduces the amount of clicks it takes to finalize the purchase. This is particularly important in the context of mobile web browsers, where cutting back on content and minimizing the number of clicks is vital to keeping shoppers engaged. Mobile apps are like neighborhood produce store. For shoppers looking for a richer, more advanced interface, applications typically win out over the mobile web because they are designed specifically for that handset’s hardware and operating system. The mobile web is a like a huge shopping mall with seemingly limitless stores and tons of options all under one giant roof. For this reason, to hold on to the customers and for increasing the sales mCommerce becomes a necessity. 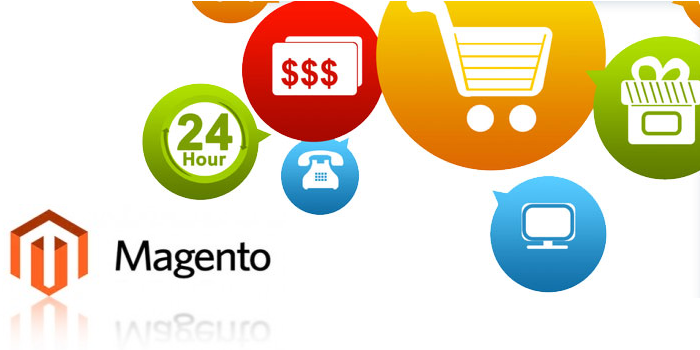 Magento has the capability to integrate the mCommerce apps to the website and hence to the store. This feature helps in boosting the sales and in turn making the eCommerce site successful. With the new Magento-mobile admin, the functional powerhouse of Magento eCommerce can be bought to mobile commerce channel, including full integration with store’s catalog, checkout, inventory, reporting, and much more. Easily manage multiple devices with a single installation. Easily extends mobile presence to iPhone, iPad and Android devices. Supporting a native app can be time consuming and tedious, so it manages the submission & support lifecycle for one low monthly fee. New device-specific features and branded themes with just a few clicks can be easily deployed. Colors and appearance of an app can be quickly updated with the new Magento mobile admin, even after customers have downloaded the app. maintenance of the app in the iTunes marketplace. interface contains powerful marketing, Search Engine Optimization and catalog- management tools to give merchants the power to create sites that are tailored to their unique business needs. Designed to be completely scalable and backed by an extensive support network, Magento offers companies the ultimate eCommerce platform. Ranosys Technologies have developed a number of eCommerce websites using Magento that successfully earns revenue for the owners. Ranosys Technologies provides leading edge solutions for enabling businesses go online. Ranosys Technologies believes that effective eCommerce Web Design is about technology strong and great marketing. Ranosys Technologies has delivered customized Magento B2B website solutions for clients of all size. Ranosys shopping cart websites are designed with customer’s needs in mind. The development team at Ranosys Technologies creates custom designed solutions to suit business identity of the customer.